Huawei Mate 20 smartphone was launched in October 2018. The phone has a large 6.53-inch touchscreen display with 1080 pixels by 2244 pixels resolution. The Mate 20 is powered by the flagship Kirin 980 processor, which is teamed with either 4GB RAM and 64GB internal storage or 6GB RAM and 128GB storage, and the storage can be expanded up to 256GB using Huawei’s new Nano Memory card format. And it packs a 12-megapixel (f/1.8) primary camera and a 16-megapixel (f/2.2) secondary camera on the rear and a 24-megapixel front shooter for selfies. On top of that, the huge, 4000mAh battery is among the biggest on a phone of this class, which can comfortably last two days with light to moderate use. Is It Impossible to Put Apple Music on Huawei Mate 20? If you'd like to buy a new cell phone, with big power, great battery and camera performance features, the Mate 20 is very easy to recommend. When you switch from iPhone to Mate 20, you may find it is difficult to put your current songs from Apple Music on the new Mate 20, why and what should you do? As we all know, Apple Music is the music streaming service developed by Apple Inc. It was launched in June 2015 that is designed with iPhones in mind. With Apple Music subscription, you can download tracks for offline usage inside the Apple Music application. Apart from iPhone, Apple Music also works on other Apple products, part of Android devices and on desktops. So in order to play Apple Music songs on your Mate 20, you need to download and install Apple Music Android app on your phone, then sign up and get your music on. However, talking about the question how to put Apple Music to Huawei Mate 20 is a bit tricky. On one hand, the songs downloaded from Apple Music are cached with DRM protection, which prevents you transferring these songs from Apple Music app. On the other hand, it will cost you $120/year for the standard subscription. But when you decide to cancel Apple Music, all of your songs in "My Music" will no longer be available. It's time to cut ties with the service after you got the new Mate 20. To transfer the downloaded Apple Music songs to Mate 20, you need to use a third-party DRM removal software to get rid of DRM from Apple Music songs. 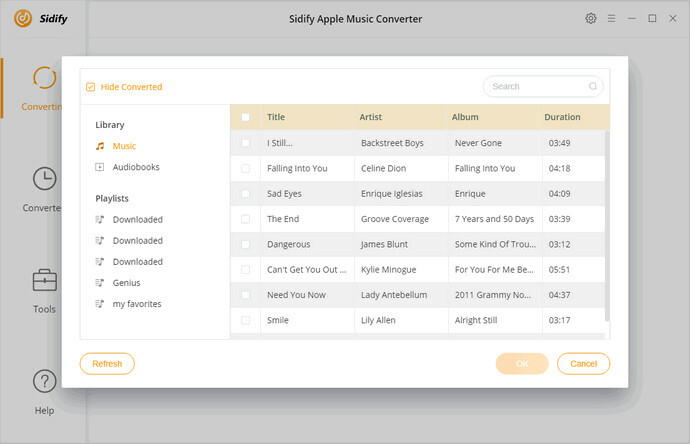 Sidify Apple Music Converter is highly recommended. 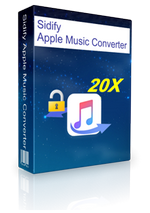 It is specially designed to be useful for removing DRM and converting Apple Music songs to unprotected audio formats such as MP3, AAC, WAV and FLAC with high sound quality. 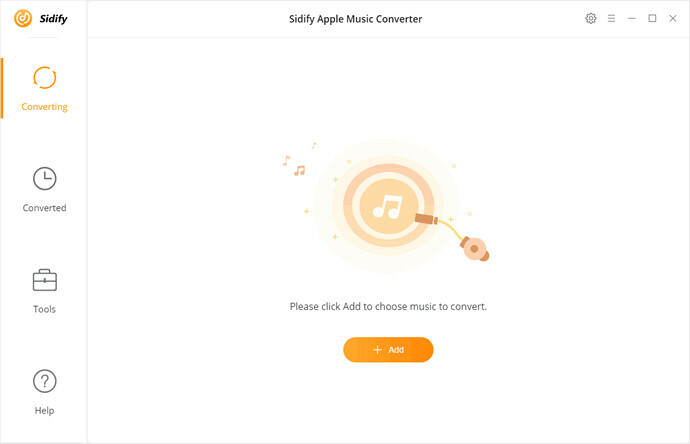 Besides, Sidify Apple Music Converter can also support converting iTunes purchased songs, iTunes and Audible audiobooks. What's more, it can convert any iTunes audio files at 10X faster speed. Thanks to this smart tool, you can play your Apple Music songs on Mate 20 freely and easily. The following step-by-step tutorial will show you how to remove DRM and convert Apple Music songs to common audio like MP3. In this way, you can put them to Huawei Mate 20 as you need. This program is compatible with both Windows and Mac os, please download it according to your operating system. Then install and run it on your computer. 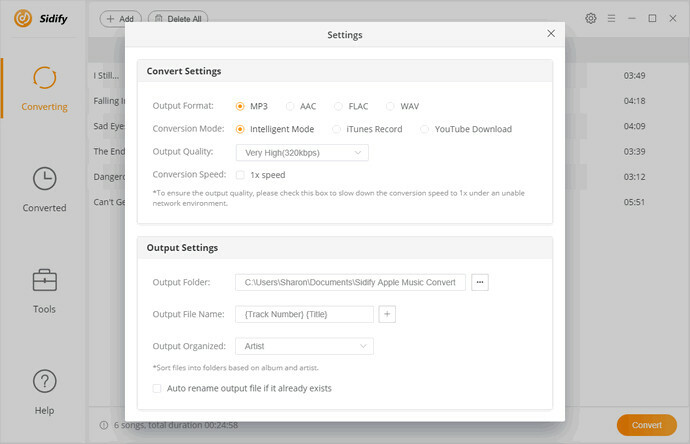 Firstly, please make sure that all the music files you want to convert should be well-downloaded on your computer in advance. Click + button to add Apple Music, it will pop up the iTunes library window, you can select one or more tracks from the list. 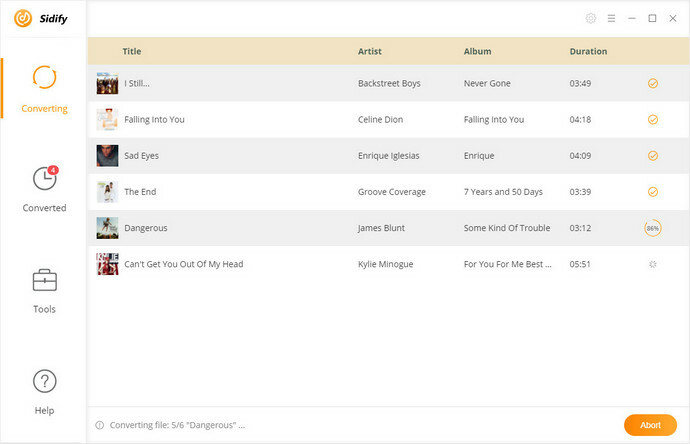 Then hit OK, all the selected tracks will list on the main interface. There are multiple ways to transfer or put DRM-free Apple Music songs to Huawei Mate 20. Here we will adopt the easiest way: Connect Huawei Mate 20 to your computer using the provided USB cable, you will see a window opening on your computer. Here your Mate 20 behaves like an external hard drive, you can drag and drop the converted Apple Music files to the Music folder of your Mate 20.